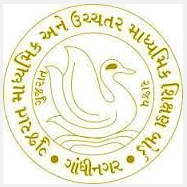 GSEB GUJCET 2016 Hall Ticket Notification : Gujarat Common Entrance Test-2016 (GUJCET-2016) will be held on 10th May-2016 by Gujarat Secondary & Higher Secondary Education Board, Gandhinagar. Hall tickets for the GUJCET-2016 will be sent to their respective schools by 04-05-2016 for the students of Gujarat Secondary & Higher Education Board. For other Board's students, Hall ticket wm be sent to their registered address by post. Hall tickets will also be available on Board's website : gujcet.gseb.org on 05-05-2016. Students can download it by entering their Birth date & application number or Birth date & Candidate Name. The paper set type will 1 to 20 for gujcet 2016.